B2B eCommerce is estimated to be a trillion dollar industry in just a few years. Learn how to compete in the growing wholesale market with this FREE eBook! The B2B eCommerce market is currently massive, and it’s only going to get bigger. By some estimates, the online wholesale market will be worth $1.1 trillion by 2019. The numbers are clear: taking your wholesale business online should definitely become your top priority for the future. You either have your own brand or are a distributor and a good one at that. You have quality products, a reputation for being reliable, and your customers are happy. You might have also have built up a great online retail business with your Shopify, Magento or WooCommerce store, and now you’re looking for new ways to grow. You see a huge opportunity that you’re not taking advantage of – and that’s going wholesale. So maybe it is time to explore more about what this channel has to offer. 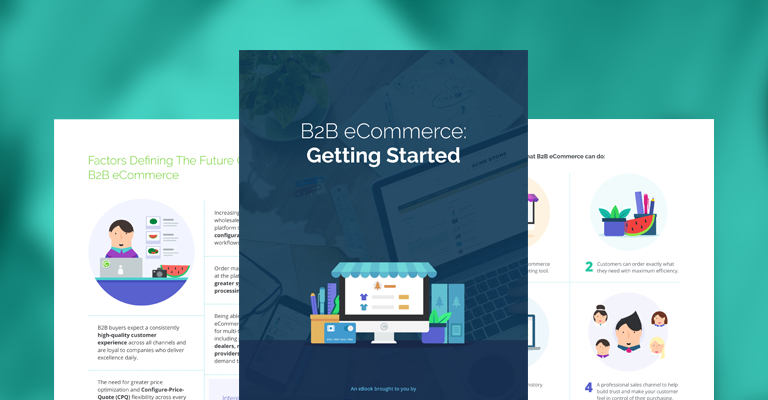 Figure out just how to make the move online with this eBook - Getting started with B2B eCommerce has never looked so good!